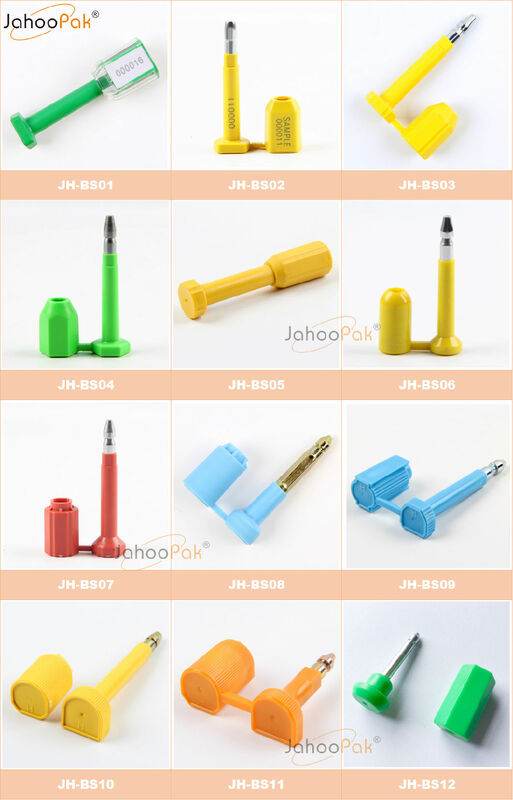 What are JahooPak security seals? 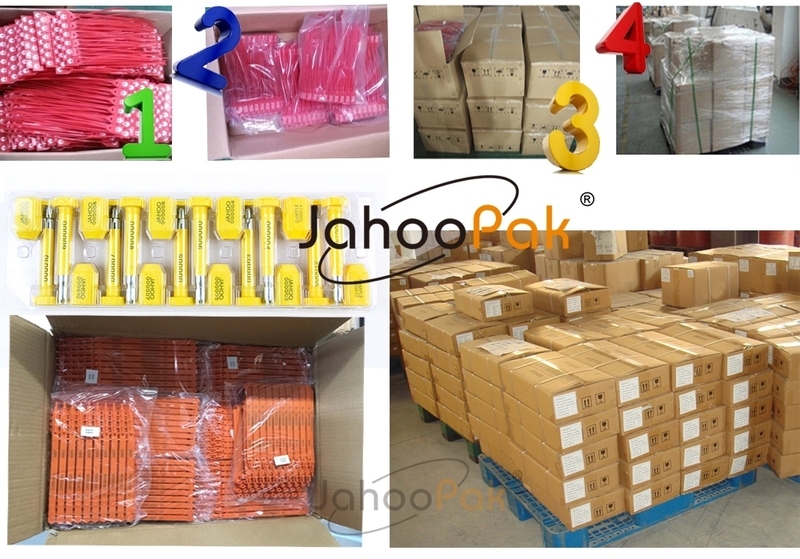 Security Seals includs plastic seal, bolt seal, cable seal, water/electronic meter seal/metal seal, barrier seal. 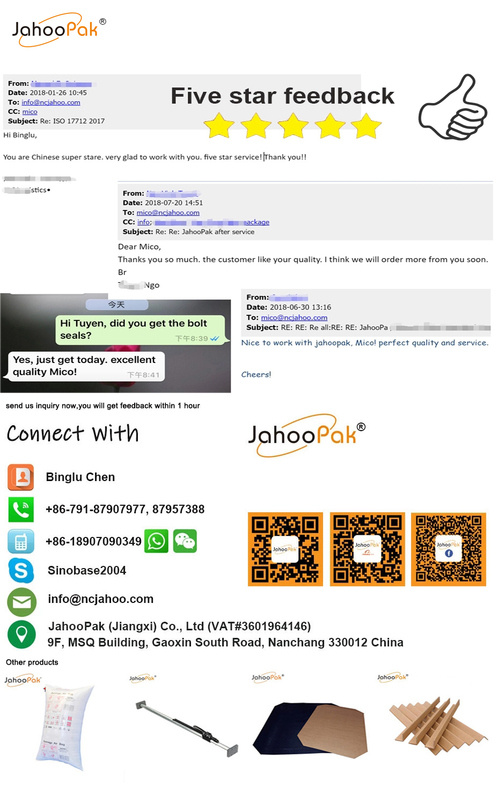 Why use JahooPak Bolt Seals? Bolt Seals offer high security and tamper evident solutions for transporting cargo and other highly valuable items. Bolts seals come in two pieces and are made of low carbon galvanized steel wrapped in a heavy-duty ABS plastic polymer shell. To use, simply break apart the locking cap from the shaft and click the two pieces together to engage the lock. Often, then shaft will be fed through a locking mechanism of a door. Once fed through the locking mechanism, the locking cap is pressed onto the end of the shaft. An audible click will be heard to assure proper locking has happened. As an increased security measure both shaft and cap have a squared end to ensure the bolt can not be spun. This is a ISO 17712:2013 Compliant Seal. To make sure goods delivery to you in excellent state, if pack on the pallet, we will us strength wrap film wo protect the seals from wet and damage. A: We are a leading manufacturer in the field of security seals since 2004.Â You are welcome to visit us at any time! A: Yes, sure. Payment by T/T, Trade Assurance, L/C, Paypal, Western Union and credit card are all available. 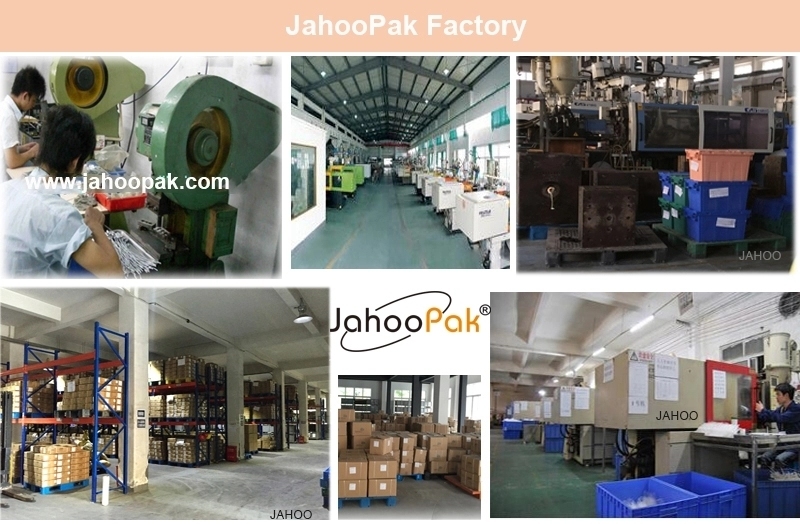 JahooPak has 8pcs injection machines, 18pcs printing machine, 3 times QC. 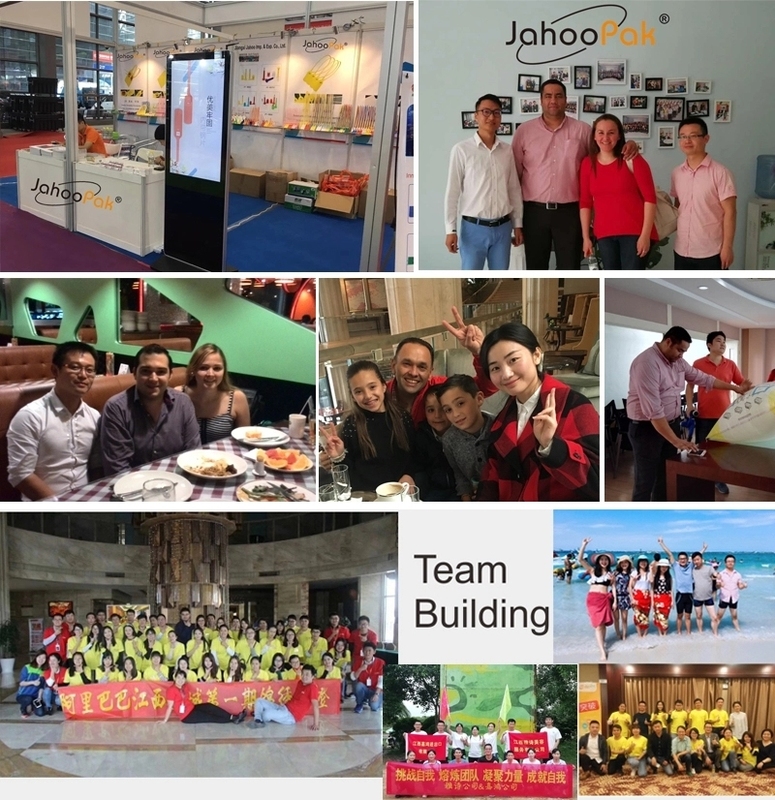 delivery time and quality is not a problem for you.